A stylish SUV makes a perfect get-away for a family to explore the Great Outdoors of Australia. Pack up your barbecue, your baggage, the kids and set off for a great adventure. You will create holiday memories to last a lifetime. If your company sells SUV's or other vehicles, or you offer great holiday packages and guided tours, you should consider making these little stress toys part of your marketing campaign. They are fun and will ensure that your brand gets onto desks and boardrooms around the country. People love playing with stress toys and they also offer beneficial health perks too. Smash them, bash them and squash them, they take a beating and return to their original shape. Our stress toys are manufactured from a strong and durable material and are designed as mini replicas of the real vehicle. 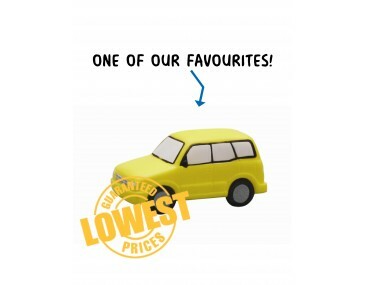 Our SUV has a bright colour, three windows on each side and a large front windscreen. Dark wheels with hubcaps add a trendy look. Talk to us about branding these SUV's with your company logo. Our listed price includes branding of your logo or graphic in a single colour print. Hand them out at trade shows, outdoor events and corporate occasions. They are sure to be well received. Please note that our prices exclude GST and a print set up of $75 applies. 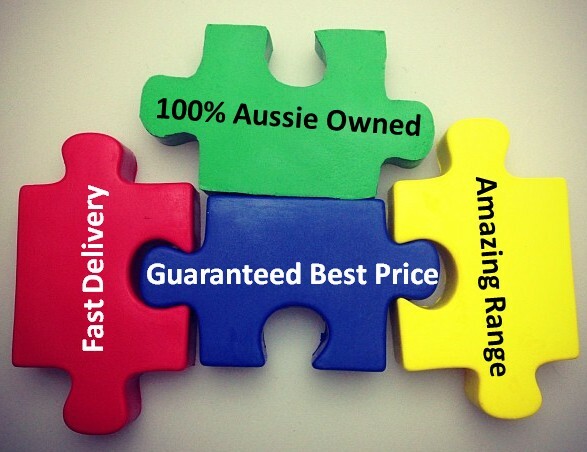 This product is supplied in bulk quantities and is available for delivery within Australia only. We offer a product turnaround time of two weeks, but we can offer even faster turnaround times for special requests.